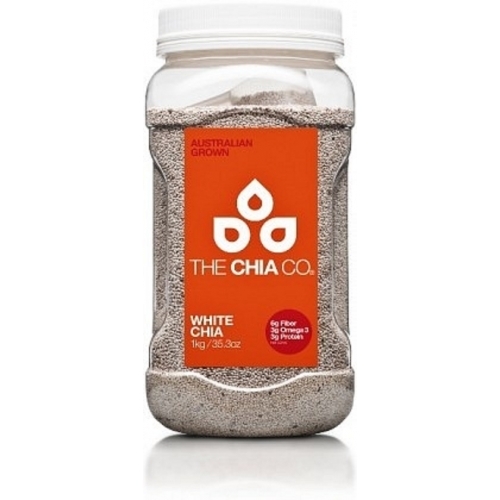 The Chia Co Chia Seed White or Black. 1kg. Home > Pasta/Rice/Grains > The Chia Co Chia Seed White or Black. 1kg. 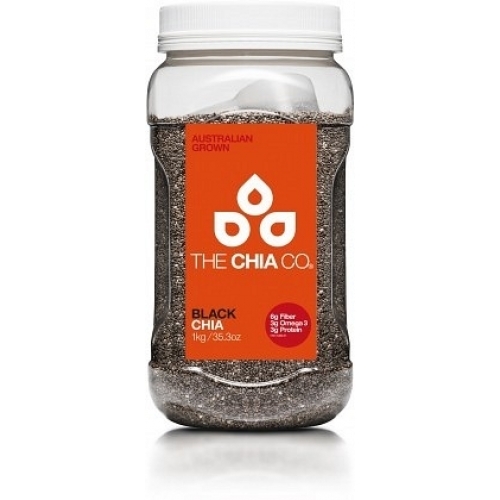 An easier way to get your daily serve of Chia! health; supports joint function and mobility and aids a healthy digestive system. How do I include it in my daily diet? Sprinkle raw on food; such as breakfast cereals, salads and soups. Mix with water to form a thick gel and blend into smoothies and drinks. Add to bread and muffin recipes. Black and white seeds have the same nutritional values – it is up to you whether you would like to see it in your food! Storage: Ambient storage in store and at home. The Chia Seed is the richest known source of plant-based Omega 3 and 6 and is also high in protein, fibre, antioxidants, and a range of vitamins and minerals – essential dietary elements for our health. 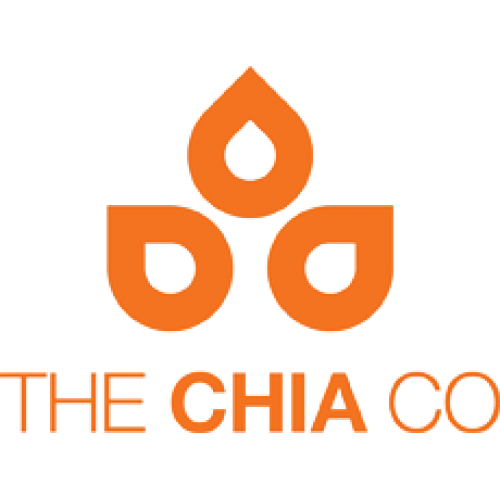 The Chia Co is concerned about the health and wellbeing of the Australian community and has dedicated itself to the production of Chia seeds and Chia products. The Chia Co is now the world’s largest producer of natural, raw chia seed, an ancient Aztec seed originating from South America. The Chia Co farms are located in the pristine Kimberley region of Western Australia, exactly 15 degrees south of the equator. Growing Chia at this latitude provides the ideal conditions, maximizing the omega 3 oil profile in every seed. The Chia Co products are mild tasting and easy to include in the everyday diet as they can be added to any meal.